Adorable Southern Gentleman Available for Adoption! 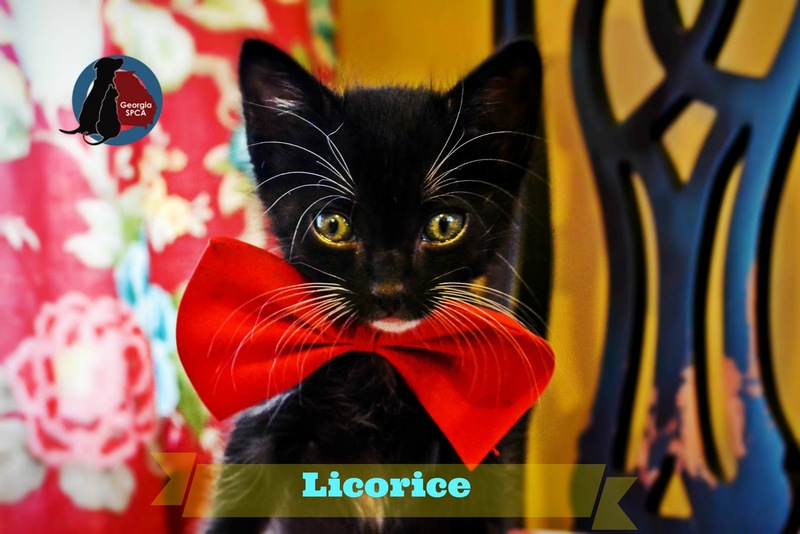 Meet Licorice! This cute southern boy came to Georgia SPCA when he was 2 days old and I've been fostering him ever since. He has a sister with the most beautiful grey fur. Licorice loves snuggling with her sister and is very active at sundown. Licorice is a typical "Tuxedo" cat with white paws and chest. One look in those green eyes and you'll be smitten! 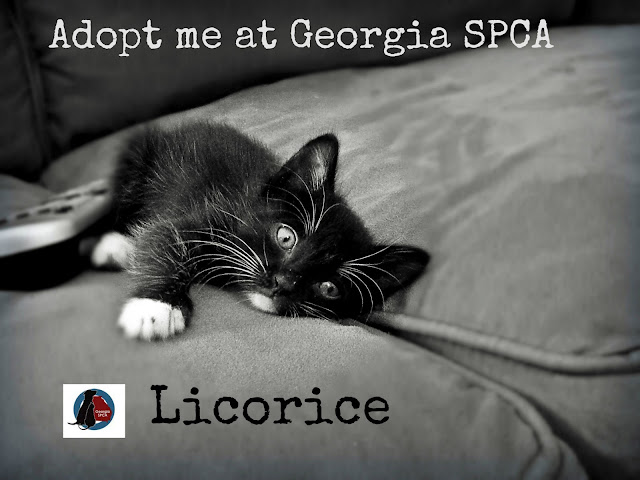 Licorice will be at the shelter on June 12. If you want to see him before this date or start his pre-adoption, please send me a message and we can meet at the shelter.